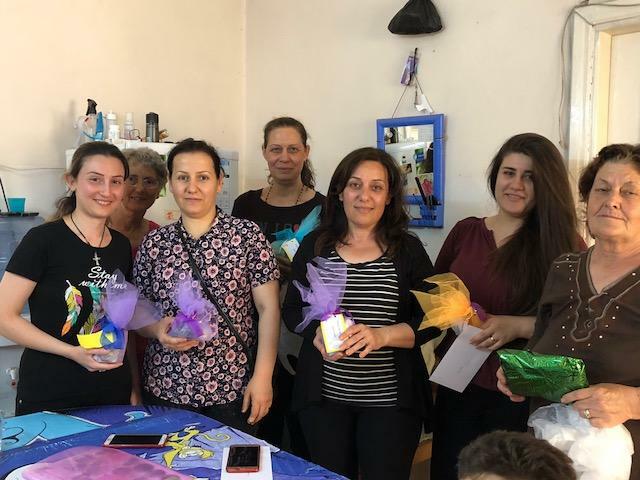 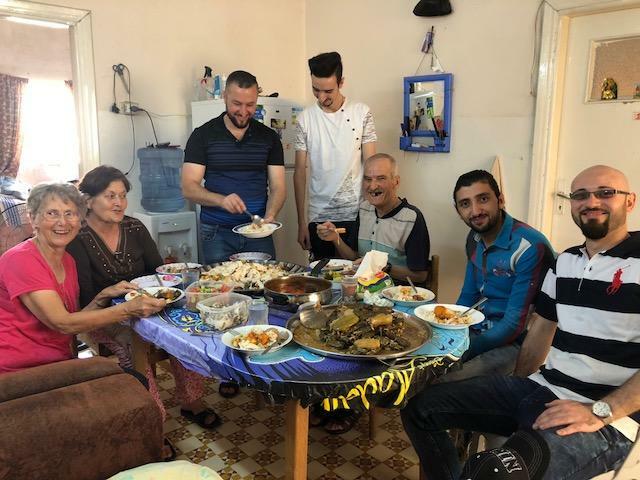 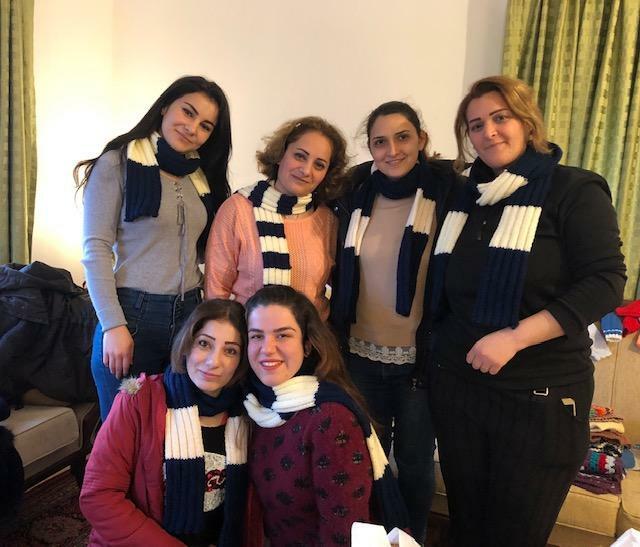 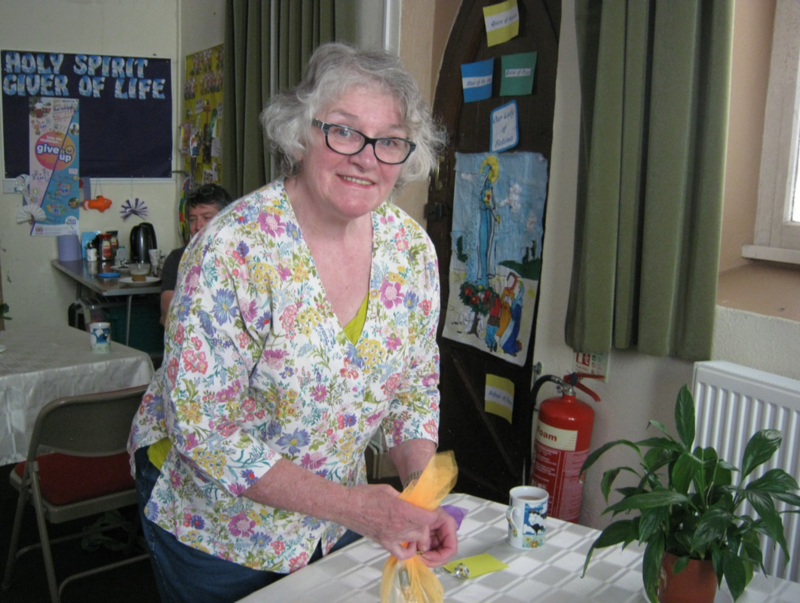 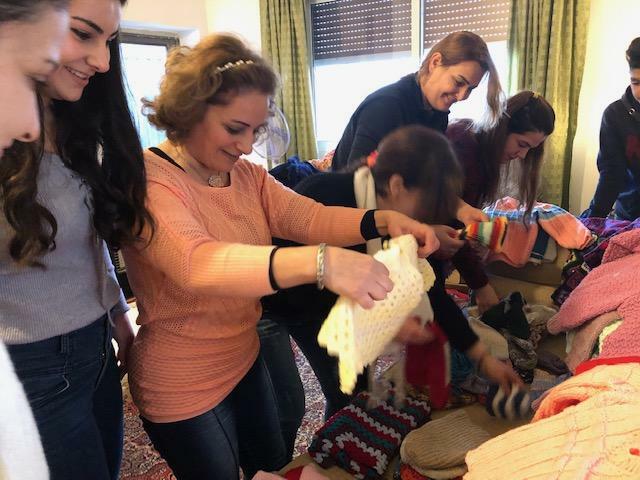 Parishioners have been knitting scarves, hats and jumpers for the Christian refugees from Iraq, who are now in Jordan, awaiting to be resettled safely elsewhere. 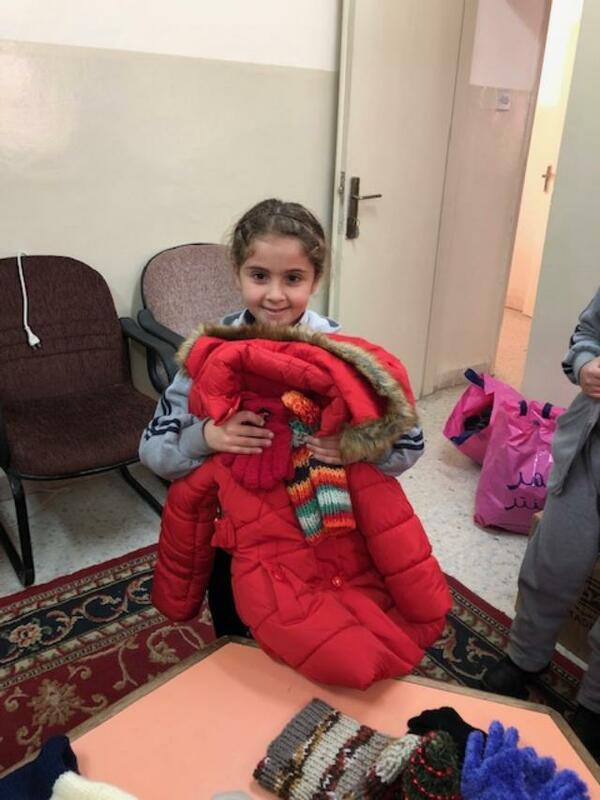 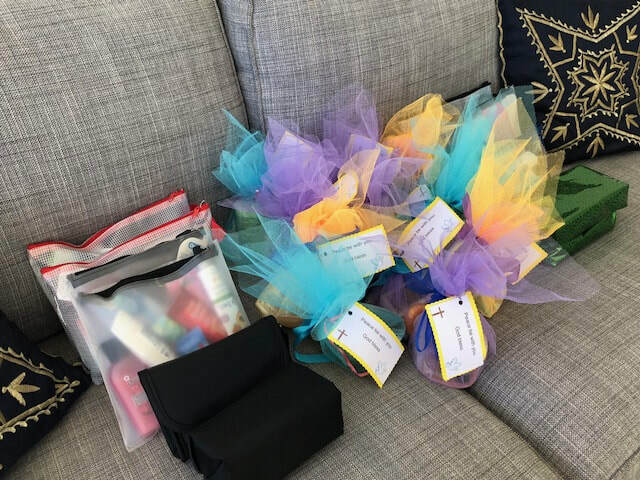 The children and their parents were delighted to receive these gifts just before Christmas, in time for the cold weather. 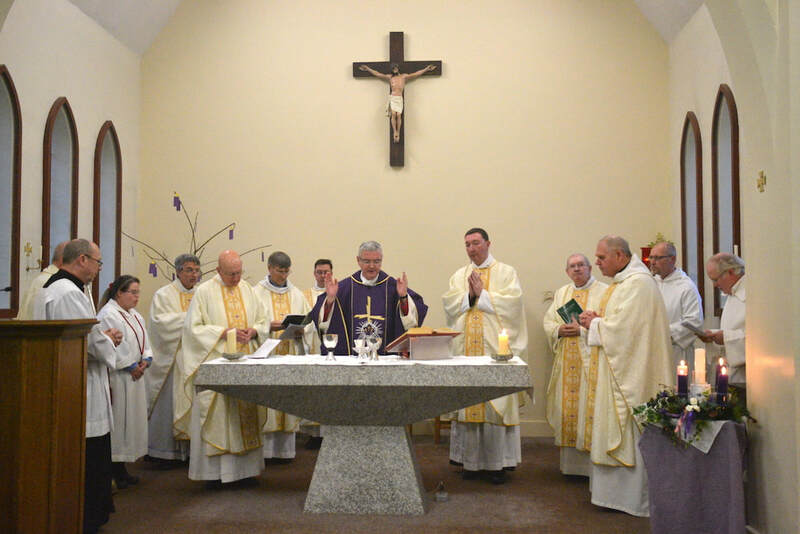 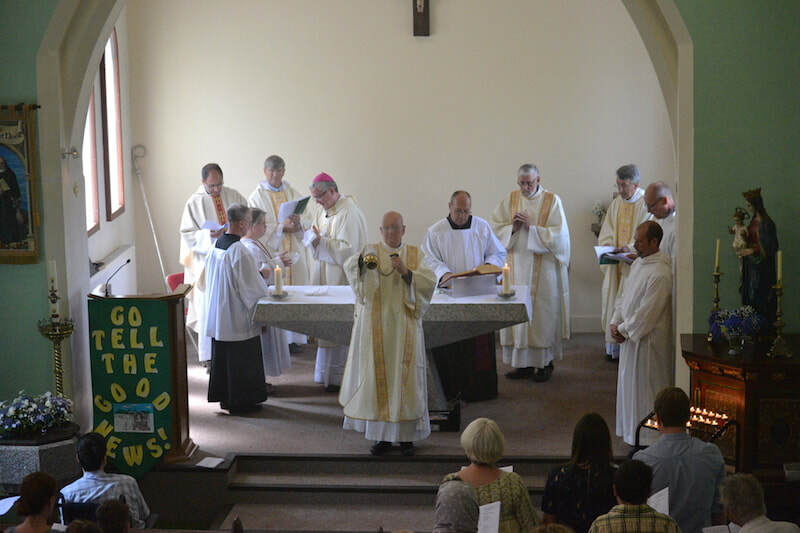 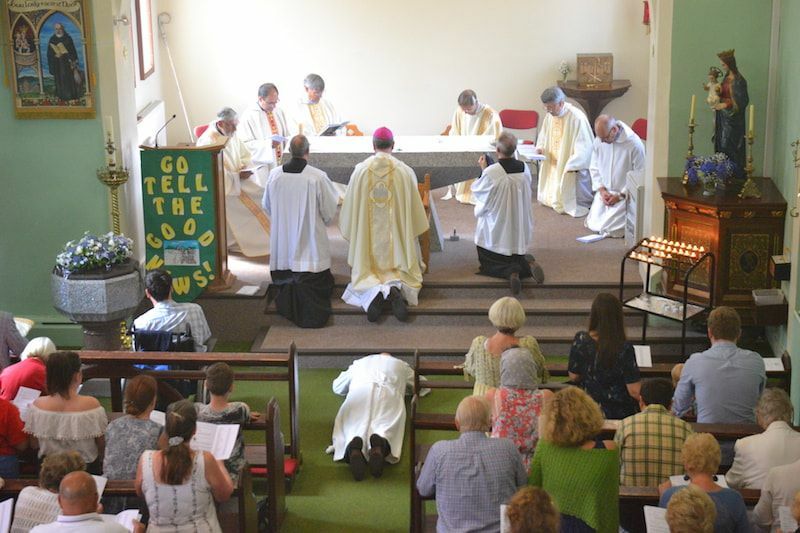 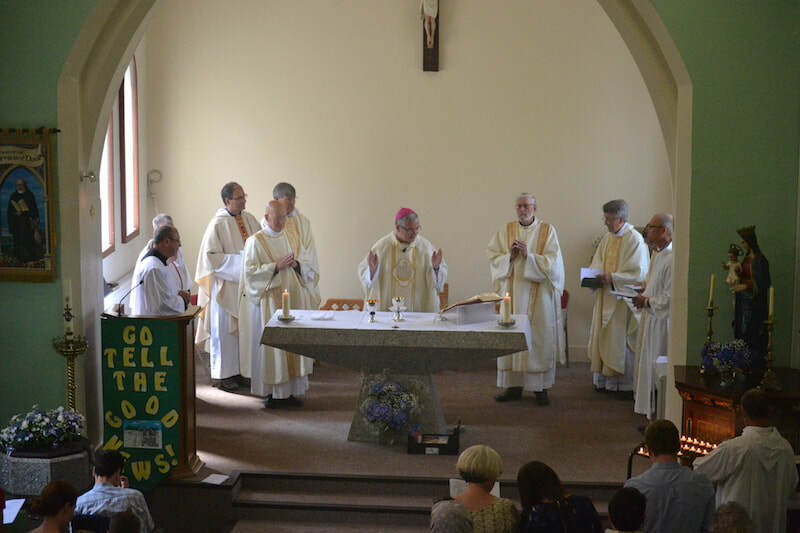 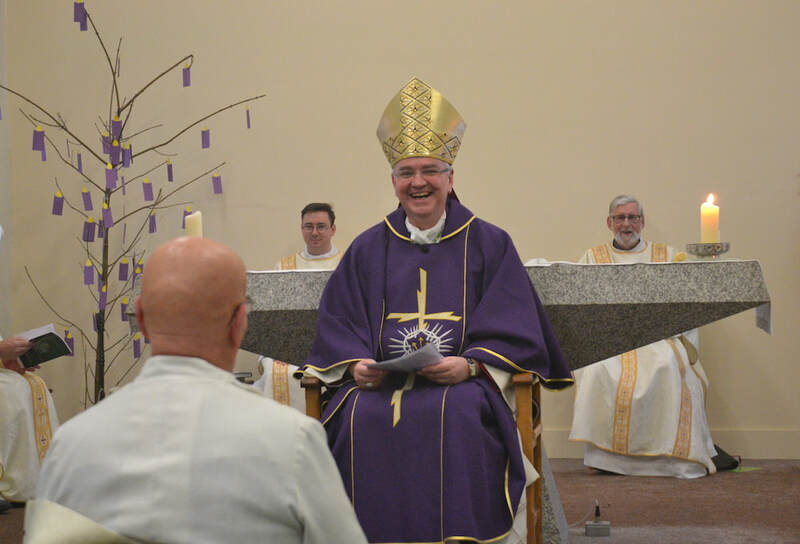 Bishop of Plymouth, Mark O'Toole visited the parish of Liskeard to carry out a solemn, but beautiful, ordination before a packed congregation. 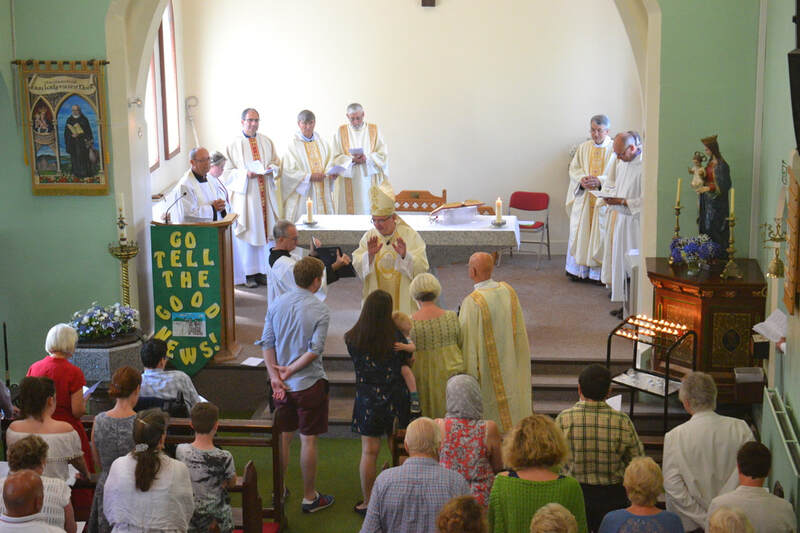 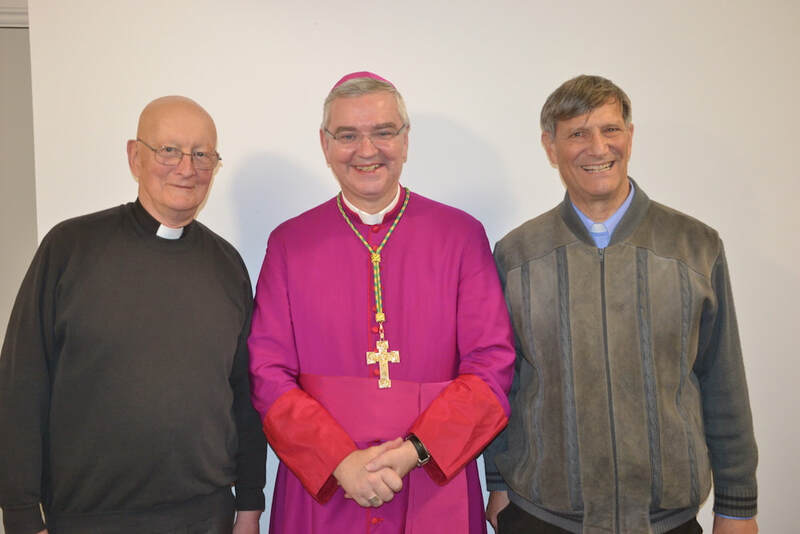 Fr John Allan now looks forward to serving in the capacity of a priest in Liskeard and the surrounding parishes. 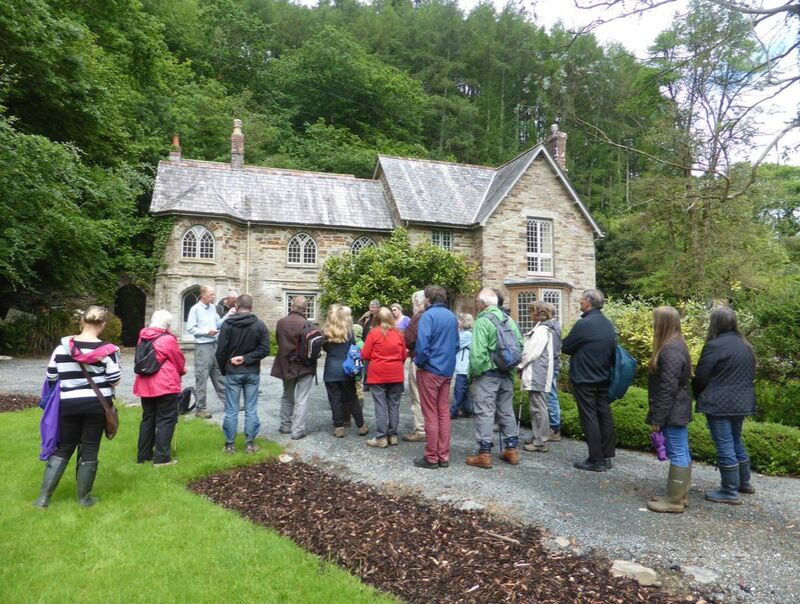 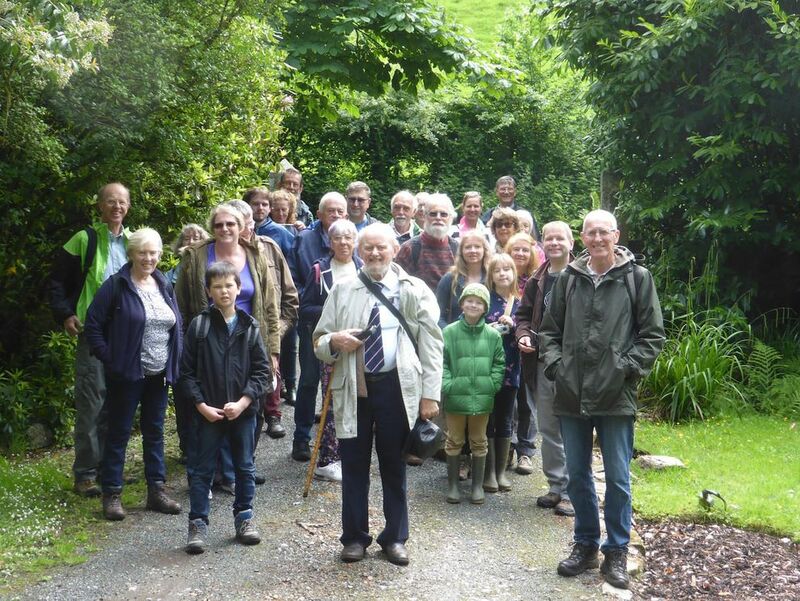 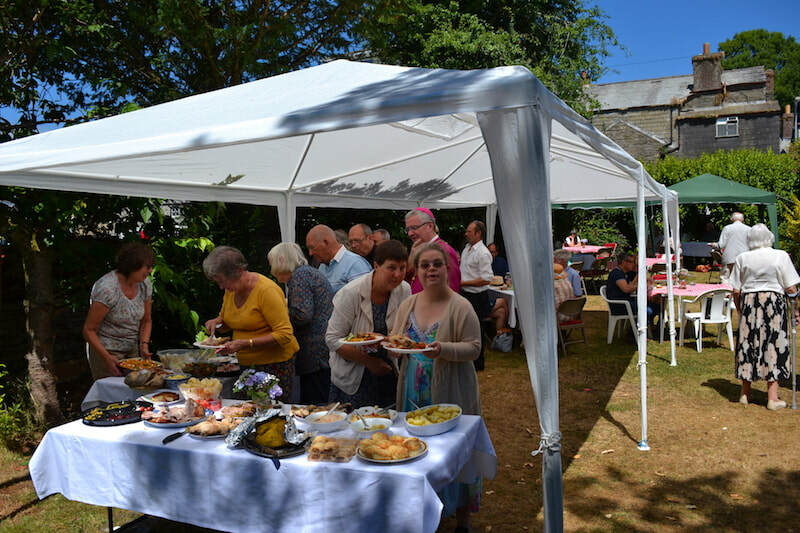 The celebration was followed by a party in the town's Public Hall, which was enjoyed by many members of the parish from Sclerder and Liskeard. 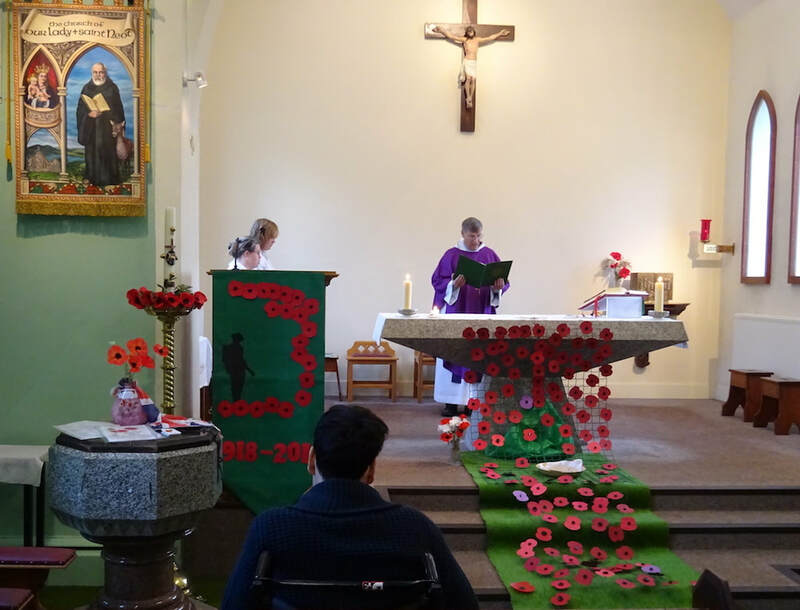 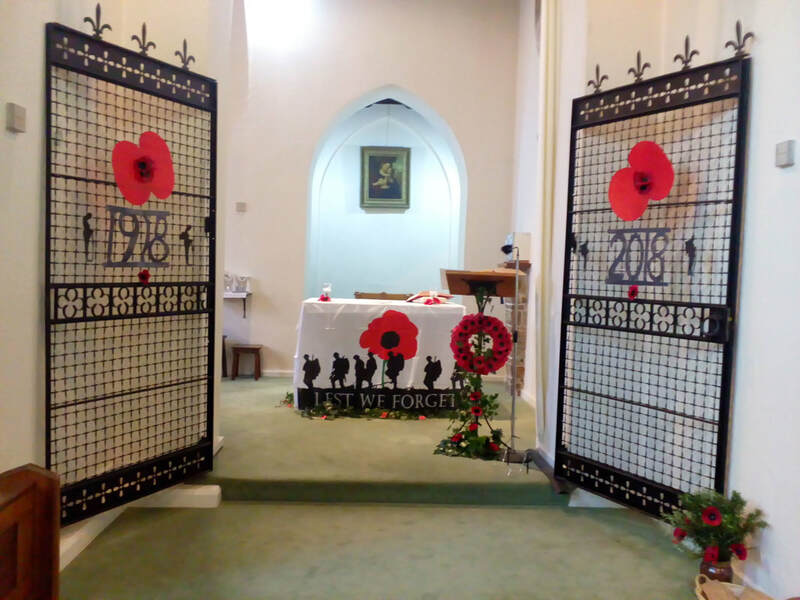 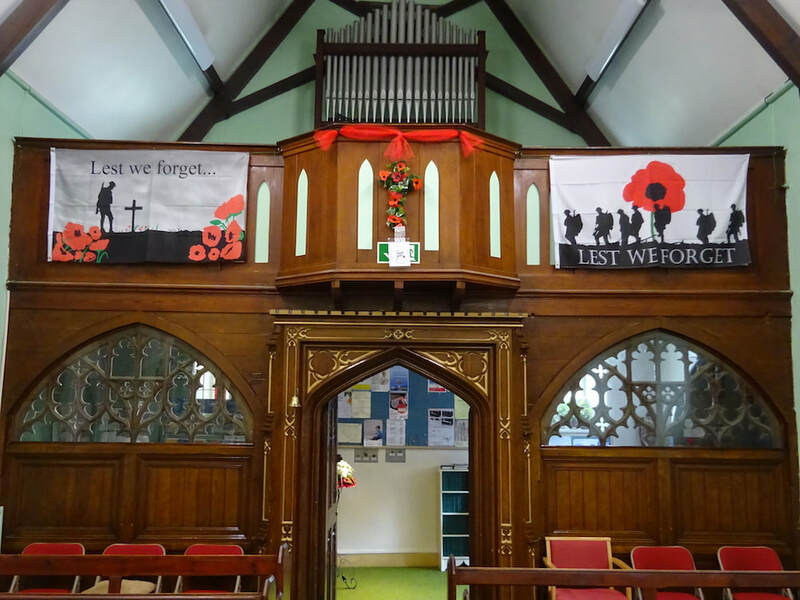 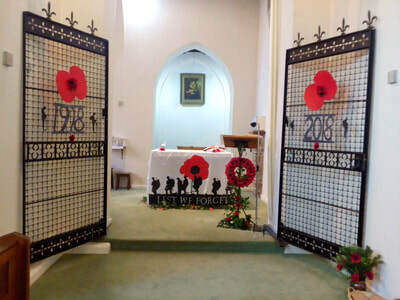 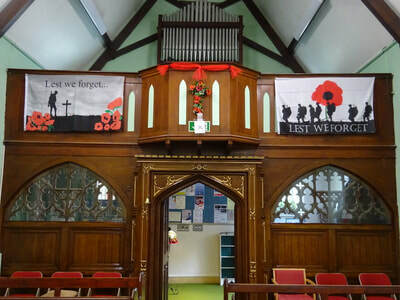 To mark the 100th anniversary of the Armistice ending the 1st World War, parishioners recorded the names of family members and friends who had served in military conflicts on a poppy. Over 120 named poppies cascaded from the Altar in a very moving tribute. 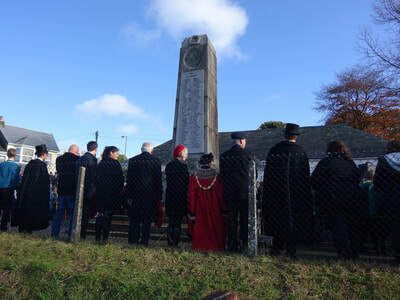 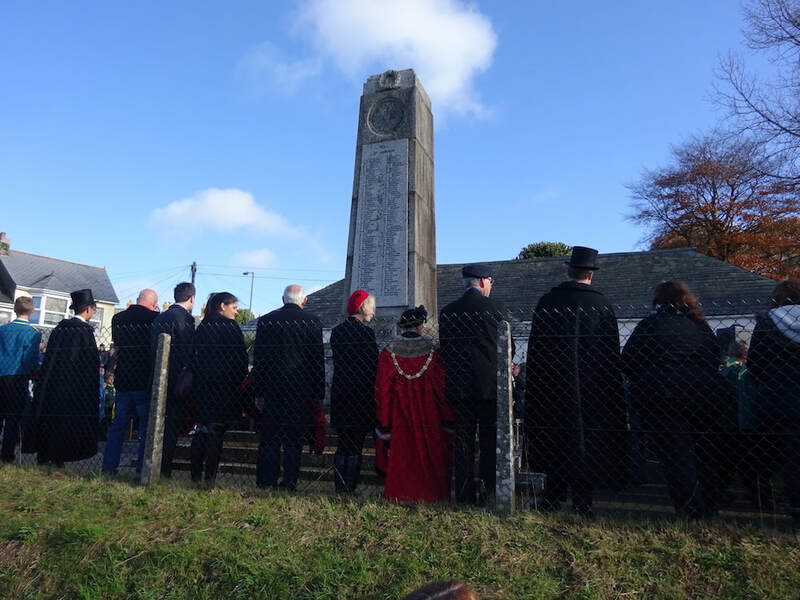 The Parish laid a wreath to the fallen at Liskeard War Memorial after a solemn procession through the town, led by military personnel, local organisations and the Mayor. 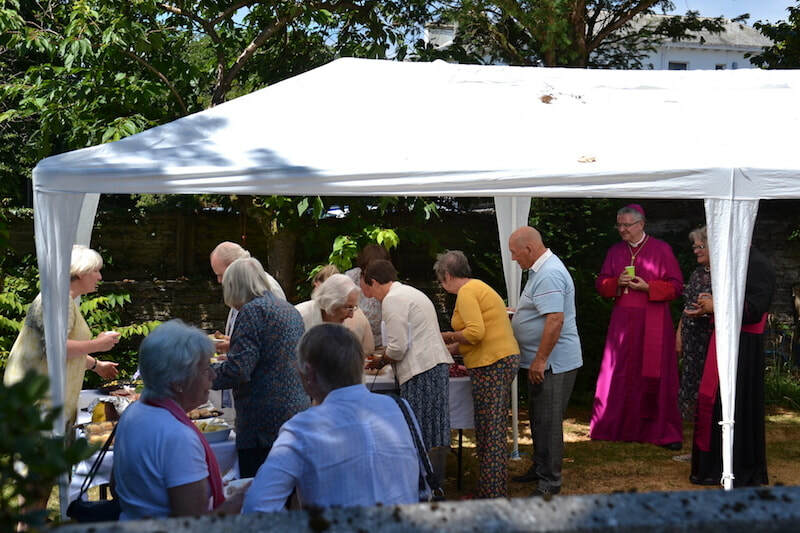 The Right Reverend Mark O'Toole, Bishop of Plymouth, ordained parishioner John Allan to the Diaconate at a beautiful Mass, followed by a celebration in the sunny garden. 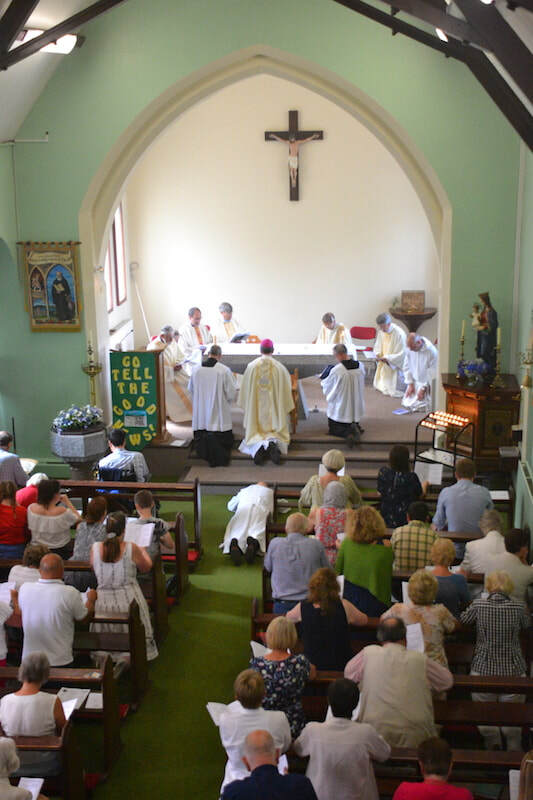 At the start of the service, John prostrates himself in humility and obedience to the will of God and to the service of His Church. 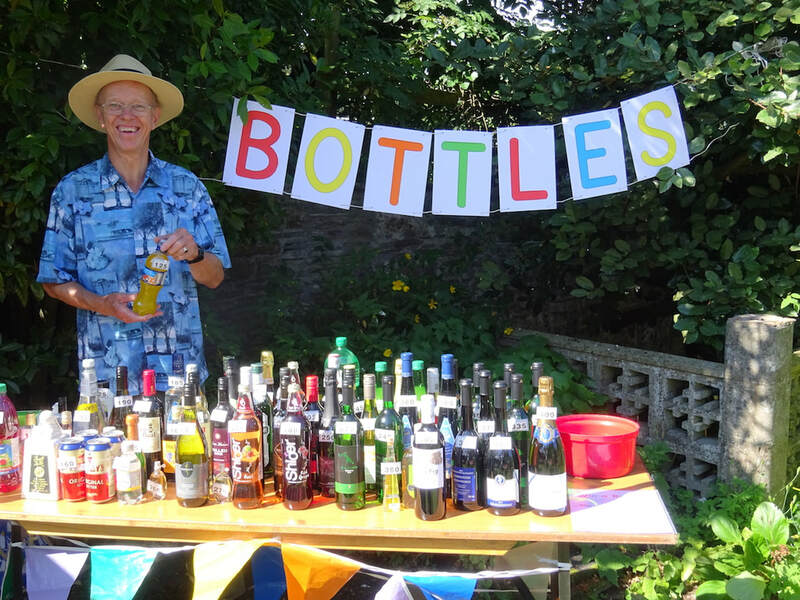 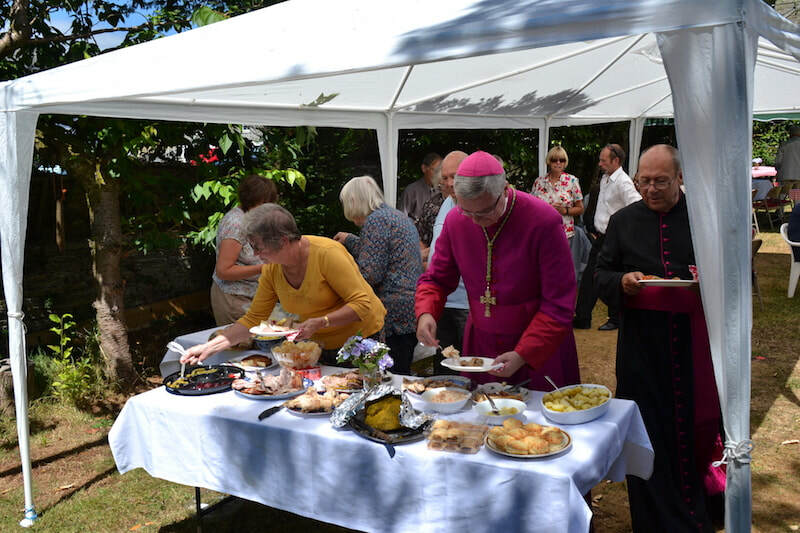 A happy event, on a glorious day in the garden of the church. 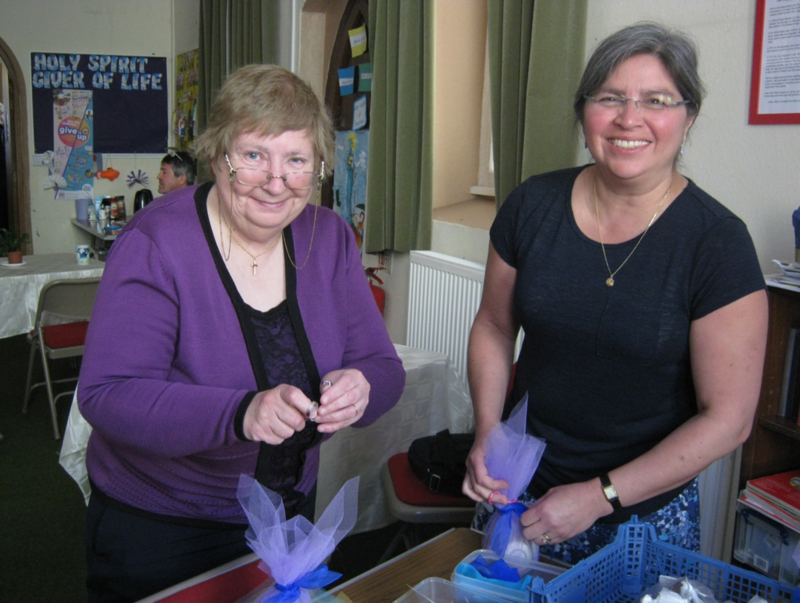 Parishioners wrapped gifts of toiletries for Christian refugees from Iraq who have moved to safety in Jordan. 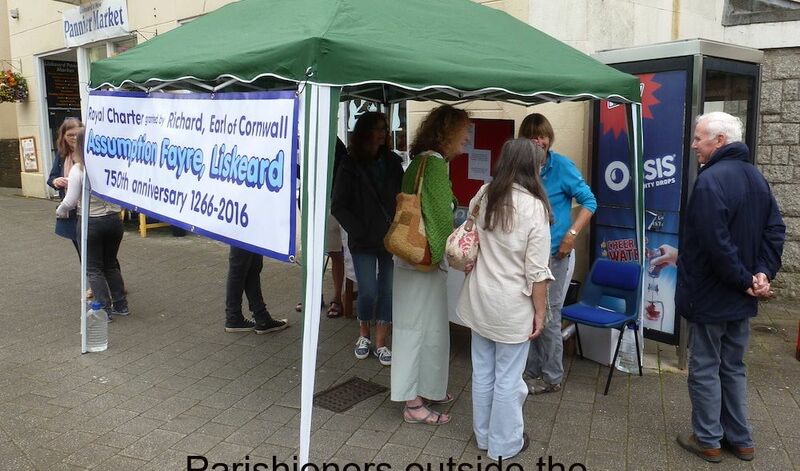 These gifts were received with gratitude by the refugees, knowing that they have not been forgotten by fellow Christians in Liskeard. 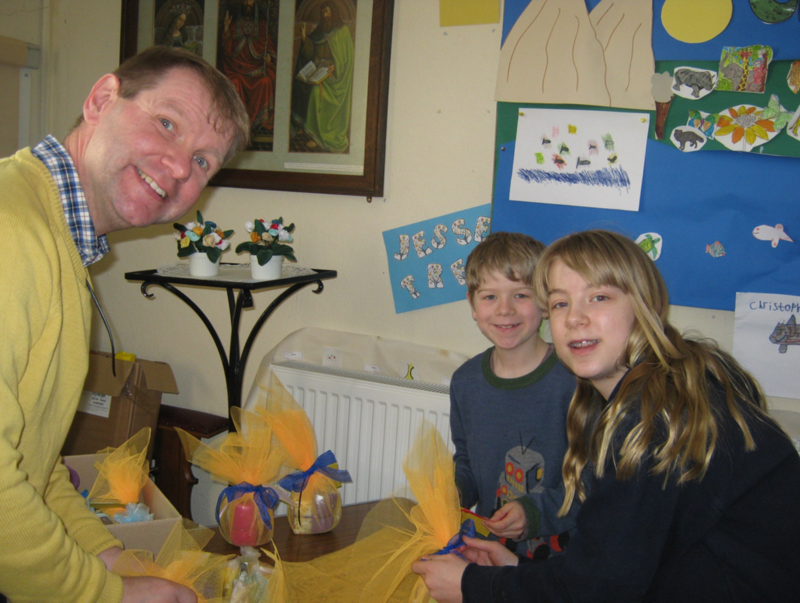 We work closely with the charity Parishes for Peace. 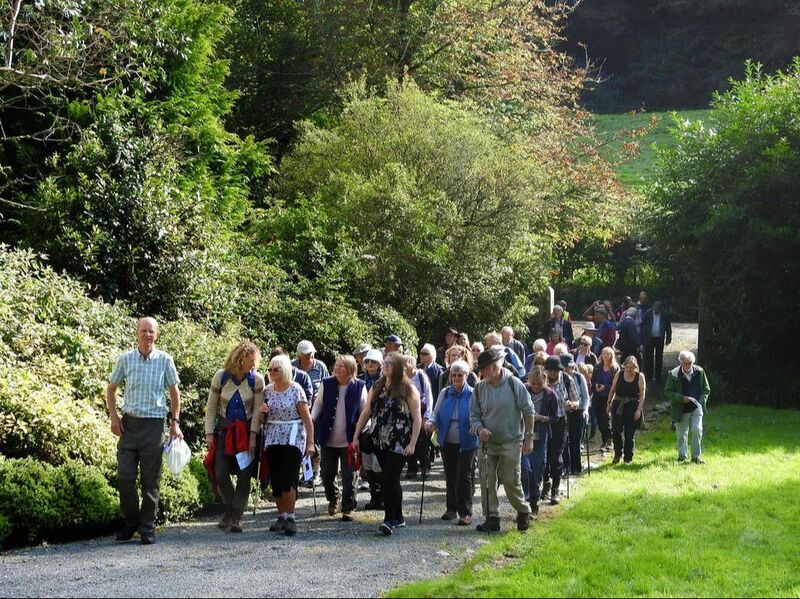 Parishioners and members of the public walked from the church to the site of Our Lady's shrine at Ladye Park. 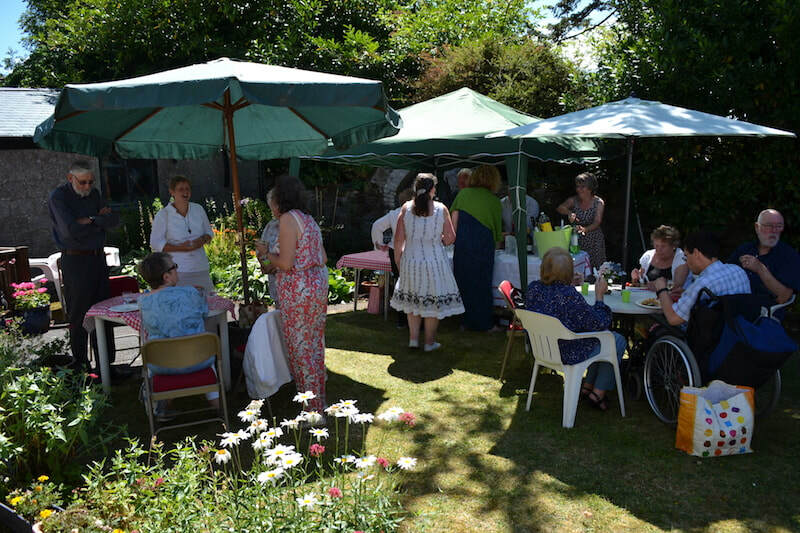 By kind permission of the owner, please note that Ladye Park is a private residence. 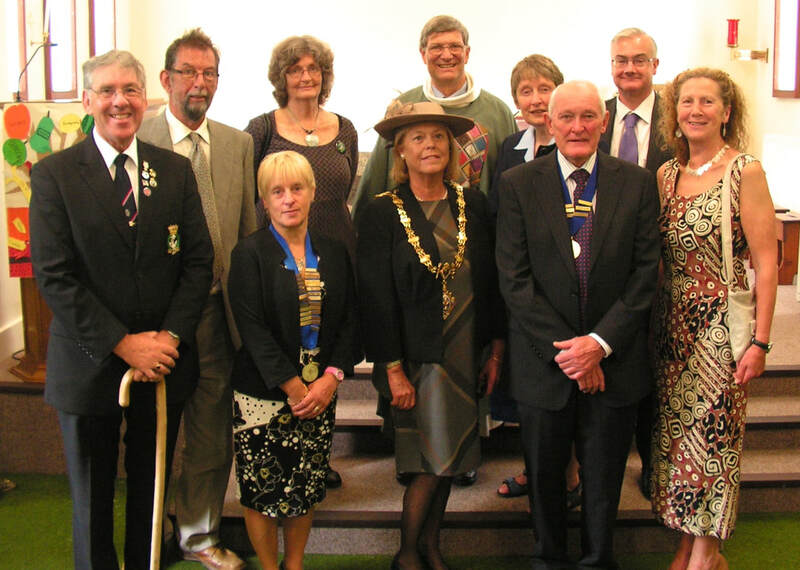 The Mayor of Liskeard, Councillor Mrs Jane Pascoe and fellow councillors and staff of the Town Council after the annual Mayor's Mass in our church. 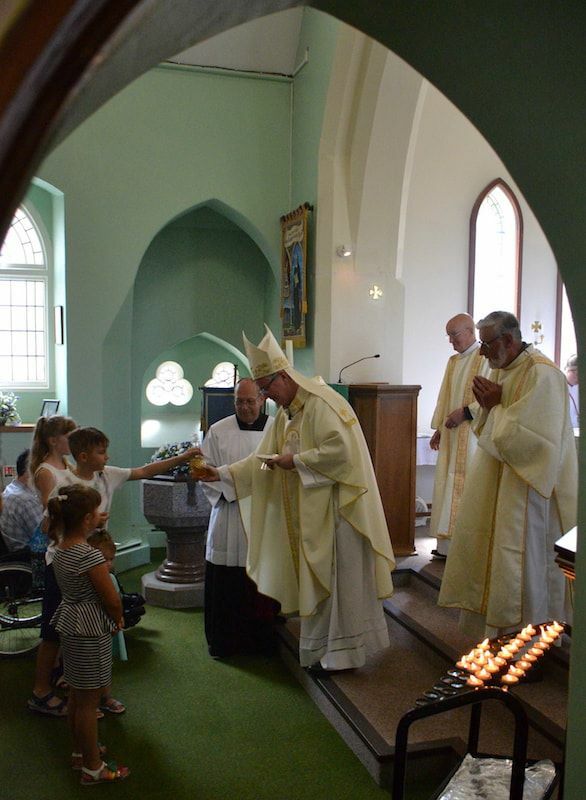 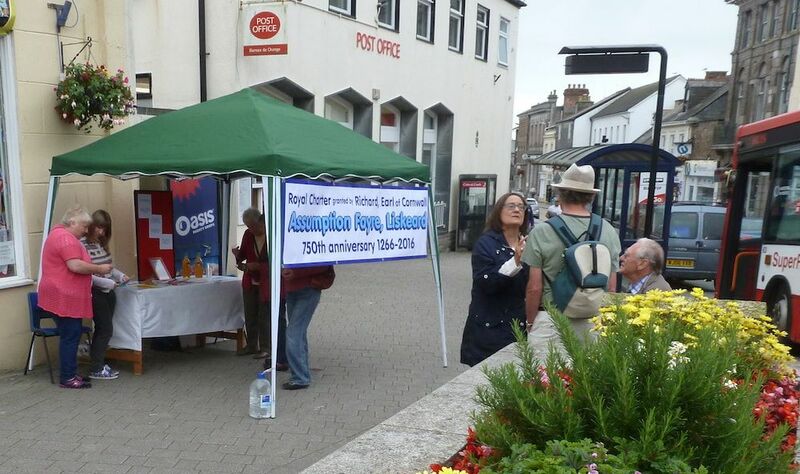 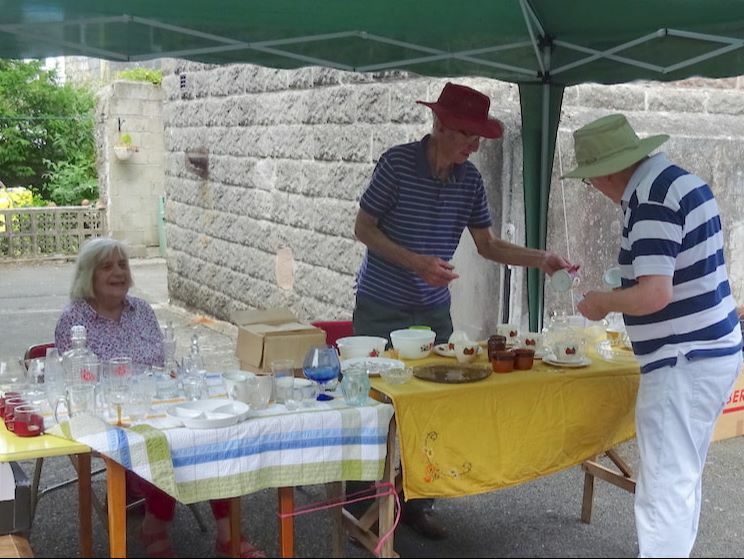 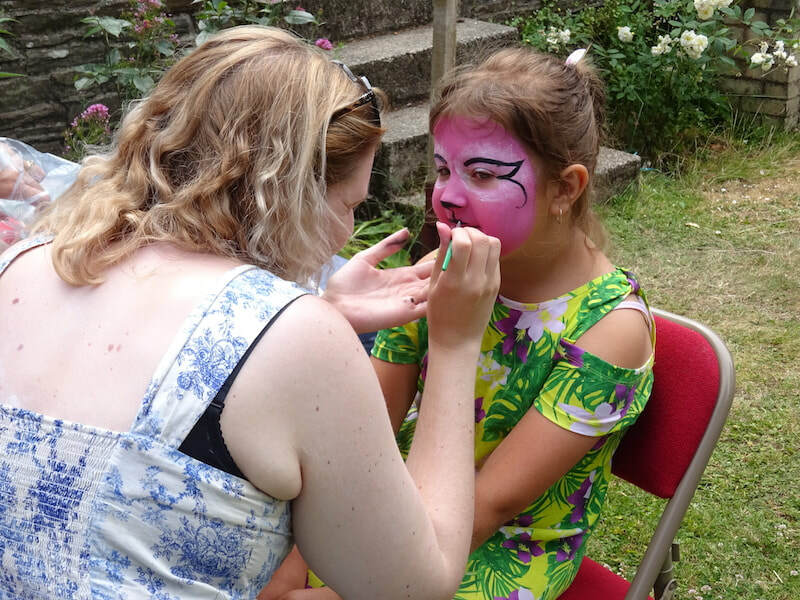 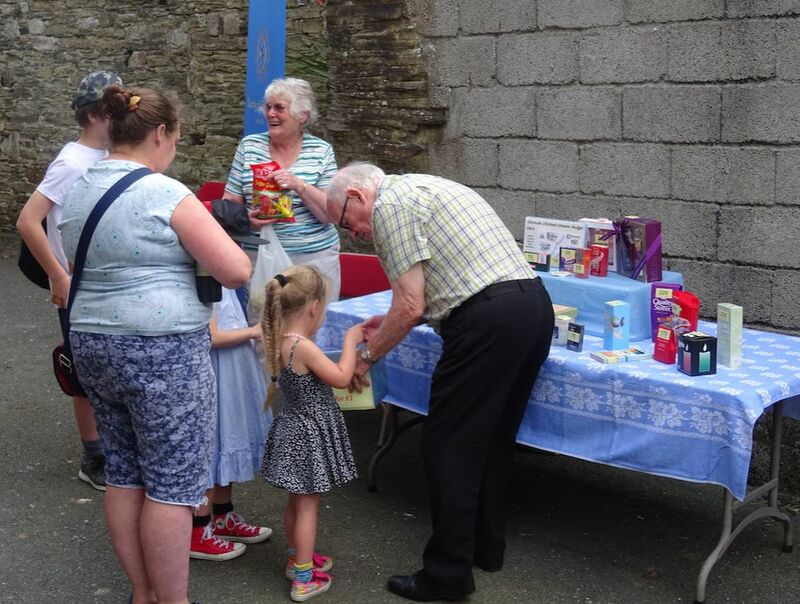 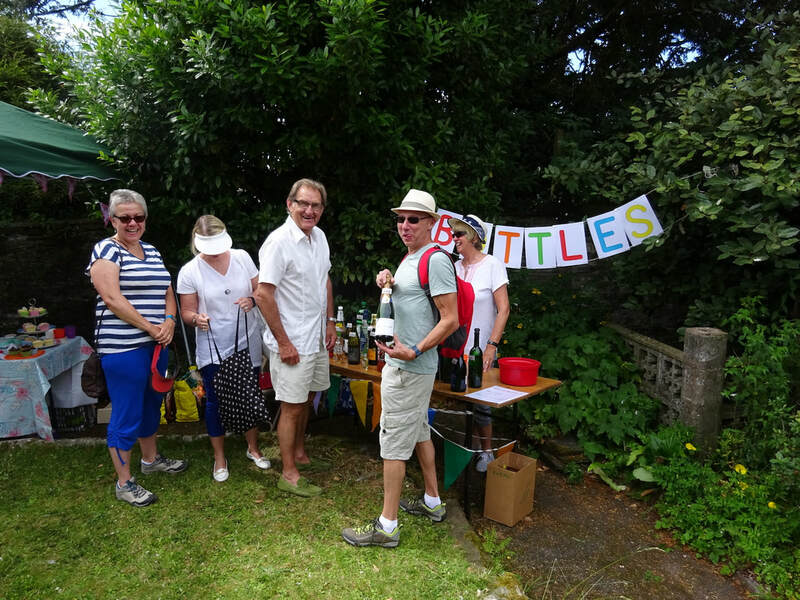 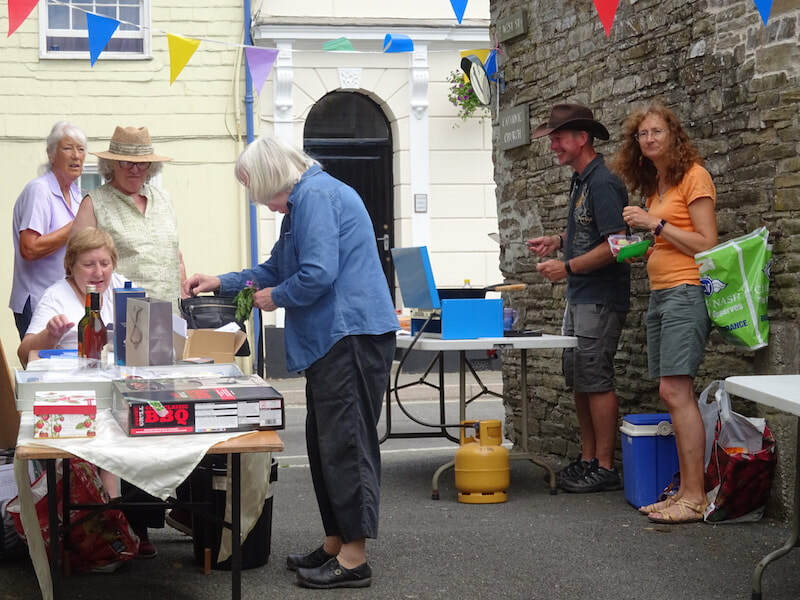 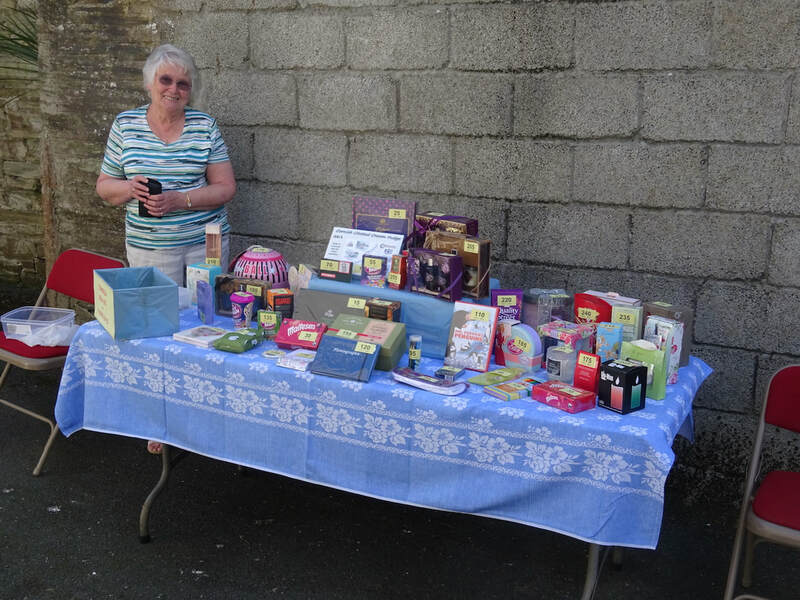 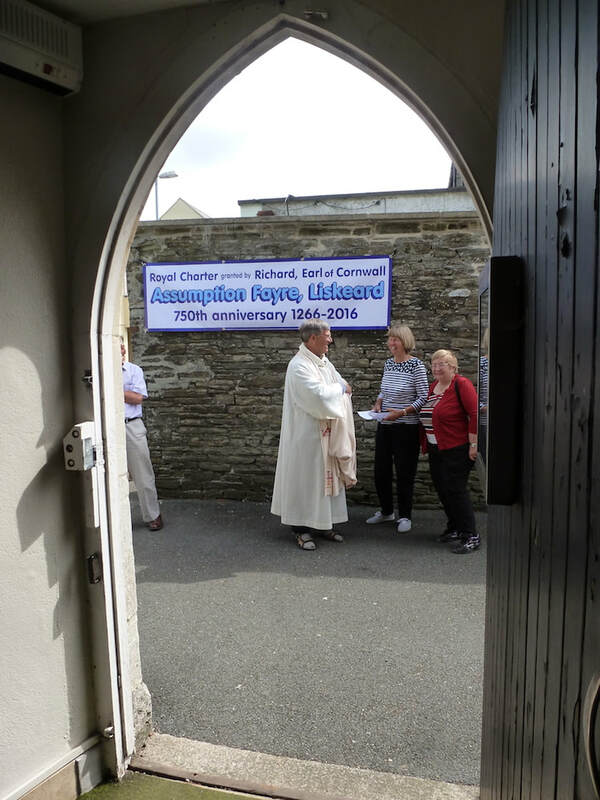 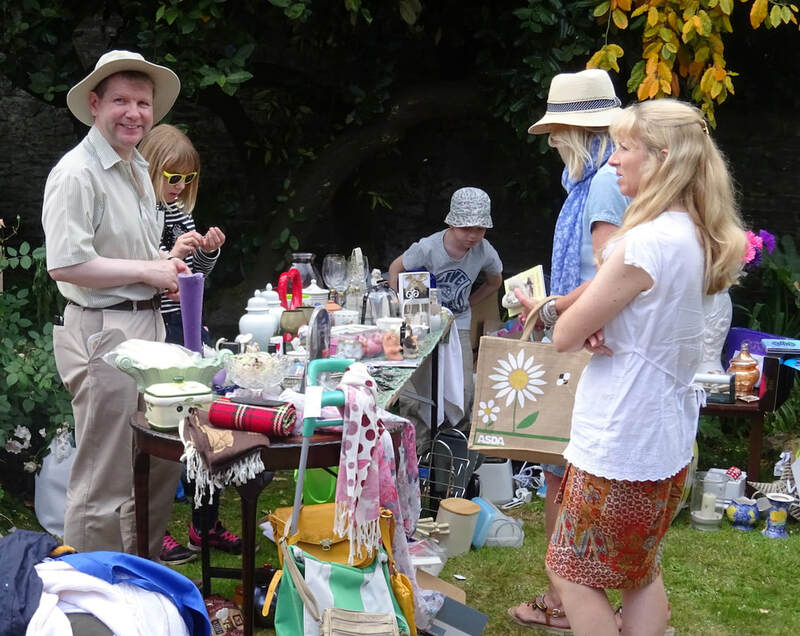 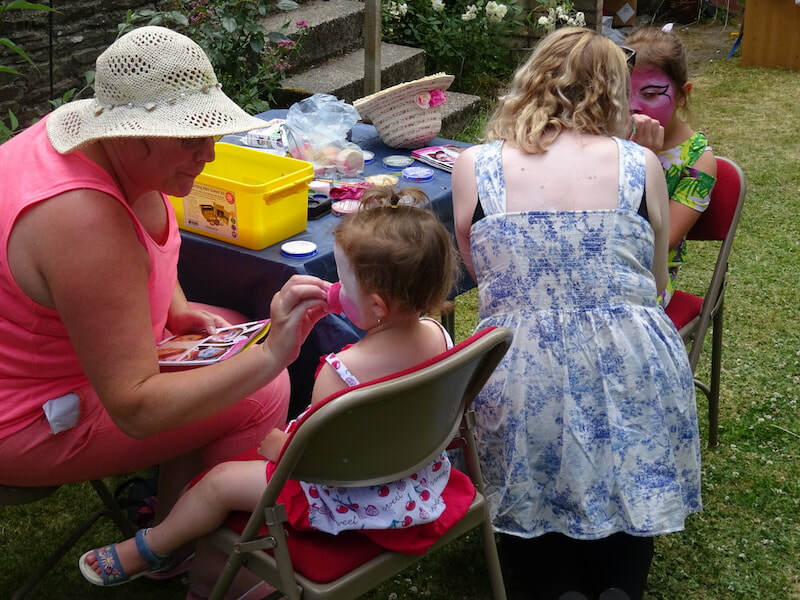 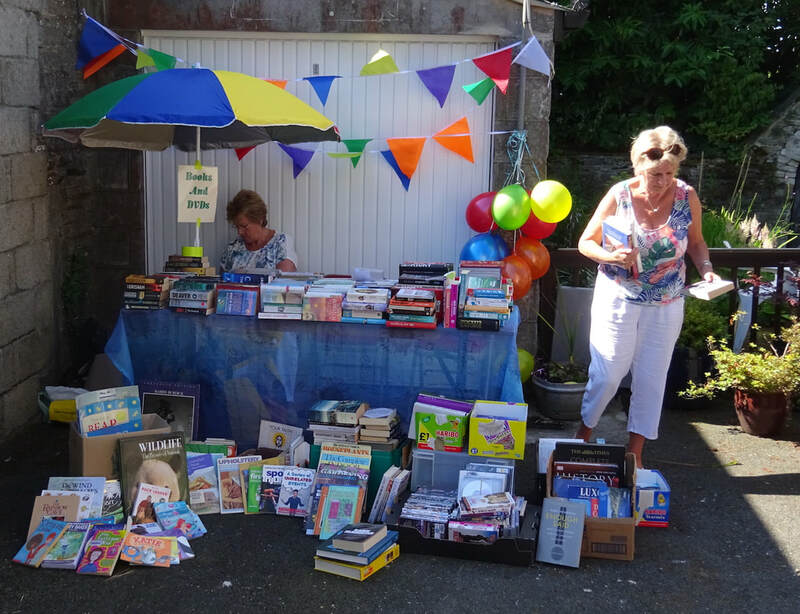 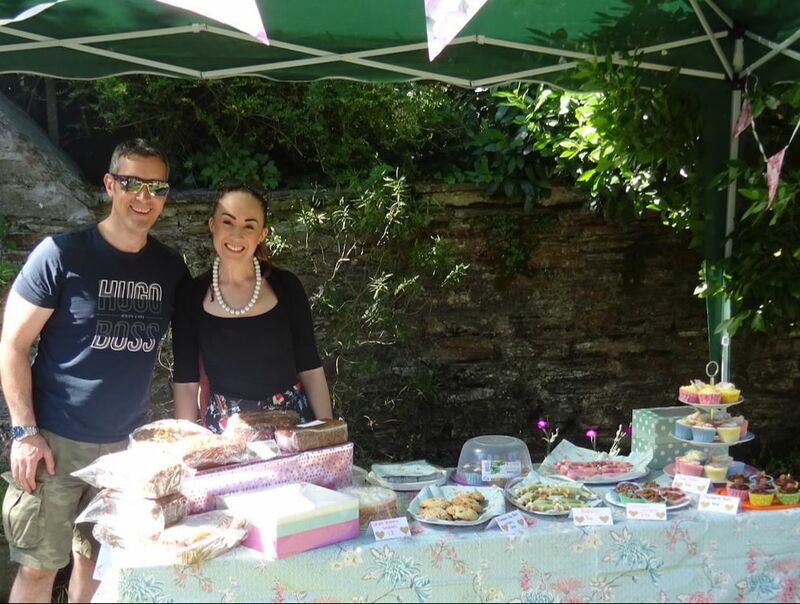 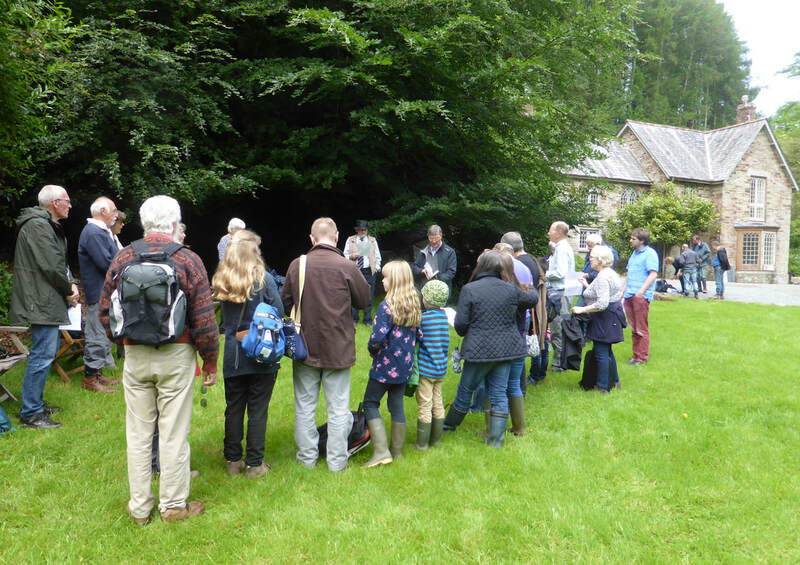 Parishioners celebrated the 750th anniversary of the Royal Charter that granted the people the right to hold a Fayre in Liskeard on the feast of the Assumption of our Blessed Lady.